There’s a door in the office that the building managers would like to remain closed. 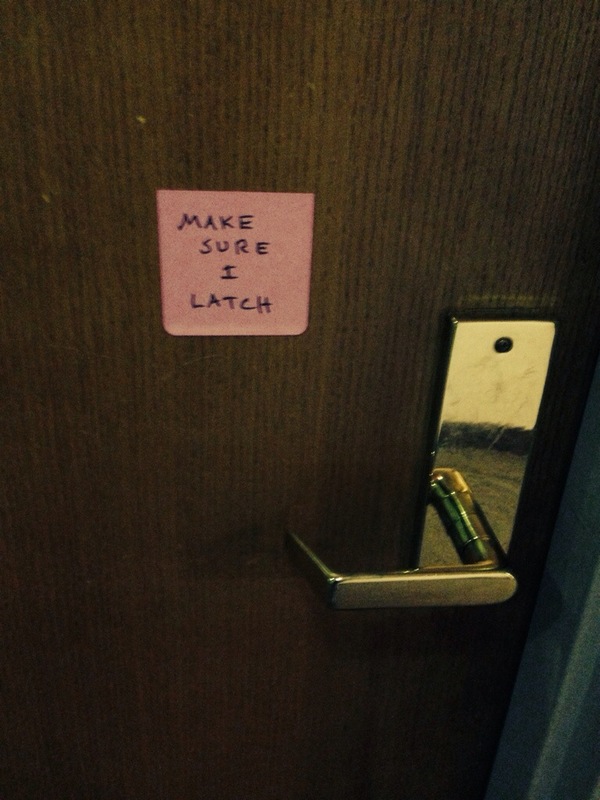 Lest there be any doubt, there is a sticky note in place to keep us on task. All the sticky notes in the world won’t make up for the following facts. There is a closer mounted on the door that moves with excruciating slowness and resists attempts to push it shut. No one is going to wait for that. Once the closer gets the door to the jamb, it sticks because the door is just a tiny bit too wide. I pass by the door several times a day, and I dutifully pull it shut. I hope in my small way I can make it feel a little more secure. This entry was posted in Atomic Entry, Work and tagged sticky note, work by retrozombi. Bookmark the permalink.